Making homemade chicken stock is easy! Not only do you save money because you don’t have to buy boxed stock, the stock itself is so much healthier for you because of all the iron, collagen, and vitamin-rich marrow from the bones. There are several ways to make chicken stock. Three of our favorite methods are presented here. The first method uses the leftover bones from a chicken carcass and vegetables (which means it’s practically free), and takes several hours of slow cooking. We often use this method when we’ve roasted a chicken and have a leftover carcass. It’s a great way to not let good bones go to waste. In the second method, we start with chopped raw chicken backs and/or wings, and sauté them first to brown them for flavor. Then add onion, carrots, parsley, and leek or onion greens, and cover with several inches of cold water. This we simmer for 4 to 6 hours and then strain. The third method is a quick version of the second. You can make stock easily in about an hour this way, again starting with backs and wings. 1 Put the leftover bones and skin from a chicken carcass into a large stock pot. Add vegetables like celery, onion, carrots, parsley. Cover with water. Add salt and pepper, about a teaspoon of salt, 1/4 tsp of pepper. 2 Bring to a boil and immediately reduce heat to bring the stock to barely a simmer. Simmer partially covered at least 4 hours, occasionally skimming off any foam that comes to the surface. 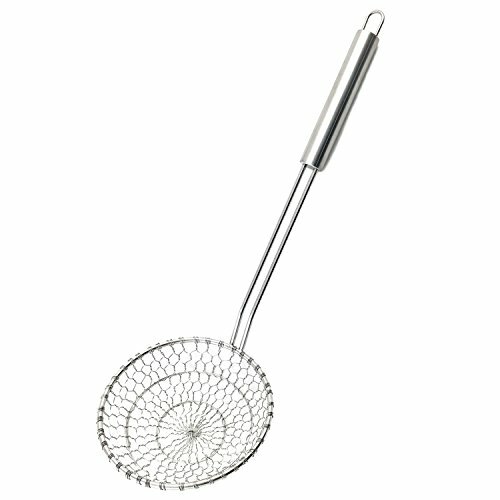 3 Remove the bones and vegetables with a slotted spoon or spider ladle, and strain the stock through a fine mesh sieve. 4 If making stock for future use in soup you may want to reduce the stock by simmering an hour or two longer to make it more concentrated and easier to store. 1 Coat the bottom of a large stock pot (12 quart), with olive oil. Place half of the chicken pieces, skin side down in the bottom of the pot. Heat on medium high, and let cook until the the chicken is browned. Add the rest of the chicken pieces and stir the pot, cooking and occasionally stirring until the chicken is no longer pink. 2 Add the onion, carrot, celery, parsley, leek greens (if using), and bay leaf to the pot. Cover with 6 quarts of cold water. 3 Bring to a boil on high heat and reduce to a low simmer. If scum rises to the surface of the pot (this usually happens in the first half hour of cooking), skim off with a large metal spoon. Let simmer at a low simmer, uncovered, for 4 to 6 hours. 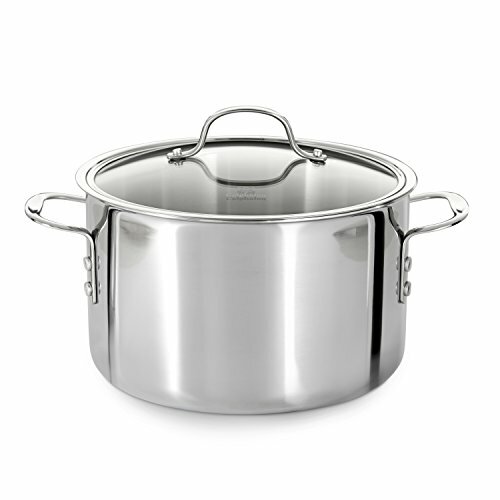 4 Use a large metal spoons with holes in it (or a "spider ladle") to ladle out the cooked chicken and vegetables. (These aren't really good to eat, by the way, because after 4 hours of cooking, all of the nutritional value has been cooked out of them.) Discard. 5 Use a large sieve lined with dampened cheesecloth or a dampened paper towel (or if using a very fine mesh sieve no need to line), and place over a large bowl or another large pot. Pour the stock through the sieve into the bowl or pot to strain out any remaining solids. 6 Either pour into jars at this point, or if you want, what we like to do is to boil the stock on high heat for 1 hour, to reduce it by about half. This way you are storing concentrated stock, which takes less room in the freezer or refrigerator. 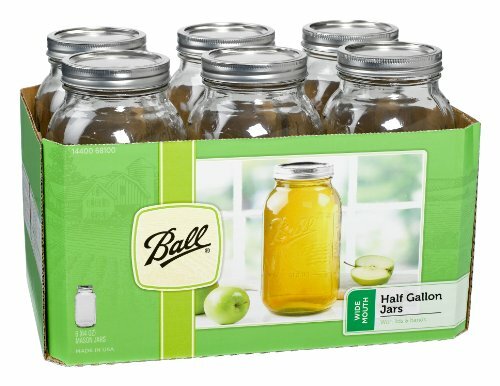 When you are ready, pour into jars. Let the stock cool in the sealed jars completely before freezing. Stock should last a week or so in the fridge, and several months in the freezer. 4 lbs of chicken backs, wings, and/or legs that have been hacked with a cleaver into 2-inch pieces. You can ask your butcher to prepare the chicken pieces this way. 1 Heat 1 Tbsp of olive oil in a large stock pot. Add one chopped onion. Sauté until softened and slightly colored - 2 to 3 minutes. Transfer to a large bowl. 2 Add half of the chicken pieces to the pot. Sauté until no longer pink, about 4 to 5 minutes. Transfer cooked chicken to bowl with onions. Sauté the rest of the chicken the same way. Return onion and chicken pieces to the pot. Reduce heat to low, cover, and cook until chicken releases its juices, about 20 minutes. 3 While the chicken pieces are cooking, fill a large tea kettle with 2 quarts of water, bring to a boil. 4 After the chicken pieces have been cooking for 20 minutes, raise the heat level to high, add the 2 quarts of boiling water, 2 teaspoons of salt, 2 bay leaves. Return to a low simmer, scraping up any browned bits from the bottom of the pan with a wooden spoon, then cover and barely simmer for about 20 minutes. Pour into jars and let cool, before putting into the refrigerator. Stock will last a week or so in the refrigerator or frozen for several months. Hello! All photos and content are copyright protected. Please do not use our photos without prior written permission. If you wish to republish this recipe, please rewrite the recipe in your own unique words and link back to How to Make Chicken Stock on Simply Recipes. Thank you! Method 3 comes from The Best Recipe cookbook by Cook's Illustrated. They got it from In Pursuit of Flavor, by Edna Lewis. Did we say only 3 methods for making chicken stock? Here's a couple more! See How to make stock from chicken feet. If you have access to chicken feet, they make the most fabulous gelatinous stock. There's an entirely different method we are using in our Chicken Noodle Soup recipe. Starting with a whole chicken, we remove the large pieces of breast, leg, and thigh meat we want in our resulting soup. Then we parboil the remaining chicken to force out the impurities. Then we start over with clean water and the chicken carcass to make the stock. This approach results in a very clean tasting and clear broth. I've seen a lot of cookbooks advocate the skimming of the fat from the stock. We prefer letting the fat settle in a layer on top of the stock as it cools. This way, the fat acts as a protective layer over the stock. Just lift up the layer of fat and remove the stock when you want to use it. Every few days, bring the stock to a simmer for 10 minutes and let it cool, again with the fat forming a protective layer. Your stock can be stored in the refrigerator and used for up to a couple of weeks this way. Awesome tips for home made chicken stock.